For gamers, 2019 promises to be a bumper year for eagerly anticipated releases and new favorites across all platforms, not just tentpole, big budget games on PS4, XBO and PC like BioWare’s “Anthem” but addictive newcomers for smartphone users like PvP battle royale “PUBG Mobile” for Android and free stuff like the entertaining racer “Asphalt 9: Legends”. 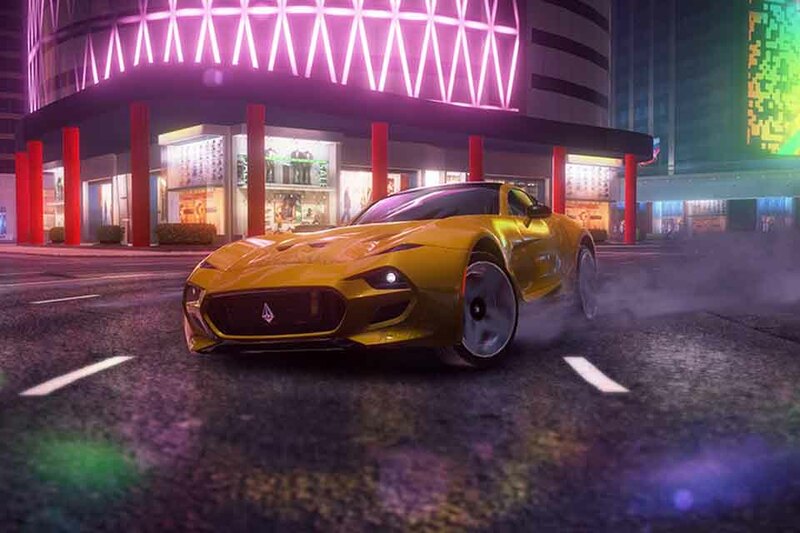 A free game for Android devices, Asphalt 9: Legends is the latest in the popular racing series and includes 50 cars, a range of content to play with and a bunch of challenges for you to get your teeth into. Online multiplayer opens up the excitement but you can play solo too. It’s surprising just how good PUBG Mobile is on Android. A large-scale PvP battle royale game puts 100 players up against each other on an 8×8 km island environment with weapons and ammo, vehicles and tactical gear strewn about the place for you to find and build your character ready for battle. You can play solo or as a team but the aim of the game is to be the last guy standing. One of the best-looking mobile games you’ll ever have played, PUBG Mobile boasts the Unreal Engine 4 to create a jaw-dropping visual experience. The most talked about studio game for years, BioWare’s Anthem might not have had the publicity it really desires but almost everyone knows about it and that can only be a good thing when this Destiny-like multiplayer shooter is officially unveiled. An open-world RPG for PS4, XBO and PC taking place in a hostile alien world, Anthem finds humanity trying to evade monsters behind a giant walled city. Players form part of a group that attempt to protect humanity as battled-hardened heroes beyond the wall. It’s a highly detailed, expansive story-driven game with early preview reviewers lavishing praise upon its all-round gameplay. It has been described as one the “most exciting new projects in years” with BioWare creating something unlike anything from the studio previously. An addictive game for mobile, Rolling Sky offers a free action-packed adventure that throws you straight into a compelling musical ball game that tests your hand-eye coordination. The key to triumphing is to drag the ball from left or right to avoid obstacles and attempt not to fall off the track. Like some other popular games such as Minecraft’s free trial version and attractive free spins and bonus offers for casino gaming like you’ll find with a visit to LeoVegas or Party Casino, Rolling Sky keeps some of the fun under wraps for those willing to pay for its full version. But it’s worth it to unleash the full game and avoid the adverts. Another free game for Android users, Brawl Stars has become a big hit thanks to its addictive online multiplayer environment. You battle as a team to brawl with opponents and have the option of various game modes that last under three minutes. To stand out you can purchase and collect unique skins to show off in the arena while local and regional leaderboards encourage players to power up by unlocking super-abilities that are earned the more you play. Whether you’re eager for the next big tentpole release, happy to stick with simple but addictive free games on the smartphone or seeking some prize-money in a game of chance or a battle of trivia, these are some of the games that’ll prove popular in 2019.